The Axo Light Lightecture Shatter is a collection of ceiling lamps, pendants and wall lights that are a visual succession of elegant volumes, which look bright fragments generated by a cosmic Big Bang. Shatter ceiling lamps are made of wrinkled-white aluminium and they have dimmable fluorescent light sources (1-10V). They can light up and decorate very big areas like public spaces, hotels, halls, restaurants etc, but they but become elements of elegant architectural plasticity also in private spaces. 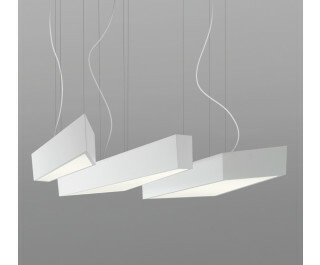 Ceiling lamps and pendants are available in three different sizes, offering multiple customization possibilities.